NNSTOY is engaged in a variety of research projects that are closely aligned to our Strategic Plan. We partner with other organizations in undertaking these studies which are jointly published. States are now using higher quality tests to better measure important student skills such as writing , problem-solving and critical thinking. This case study captures advice from teacher leaders who reviewed the quality of the tests and discusses how the experience affected their teaching. This brief also offers input on how states can engage educators in similar reviews. 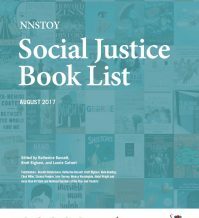 Our Social Justice Book List includes recommendations of fiction and nonfiction to teach concepts of social justice to readers of all ages. The books on this list are recommended by State Teachers of the Year and Finalists. They cover a range of social justice issues, including racism, classism, homophobia, sexism, xenophobia, religious persecution, gender bias and additional forms of othering. This resource also includes texts for educators seeking to create more equitable learning environments. Use these new resources for writers. 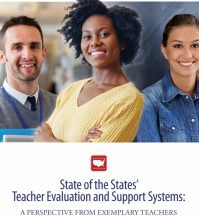 As states reconsider their current evaluation systems, this paper offers a unique perspective, the views of some of America’s exemplary teachers: State Teachers of the Year Finalists from every part of the country. Learn these exceptional educators recommend for states seeking to improve current systems. 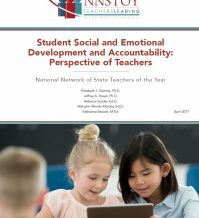 In this report, we focus on measures of social and emotional learning and their efficacy in educator evaluation. Using literature review and three focus group panels, we examined what the field says about these measures and well as what expert teachers –State and National Teachers of the Year and Finalists for State Teacher of the Year–think. For the last 4 years, 10 leading education organizations have collaborated on a study series that includes teacher voice in conversations and research about educator effectiveness. 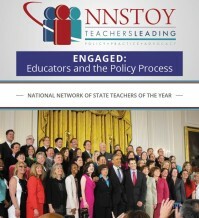 Initially conceptualized by teacher leaders from the National Network of State Teachers of the Year (NNSTOY) and with their continued input, the From Good to Great study series has asked exemplary teachers to share which professional supports and experiences helped them to increase their effectiveness as educators as they progressed through the various stages of their careers. 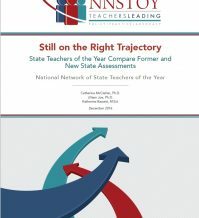 This report (the third in the study series) summarizes the findings from a 2016 survey of National Board Certified Teachers (NBCTs) and builds on the results of a similar survey of State and National Teachers of the Year in 2013–2014. What we found largely confirmed the findings across the career continuum in the earlier, smaller-scale survey. This report is the latest in a series on high-quality summative student assessments. 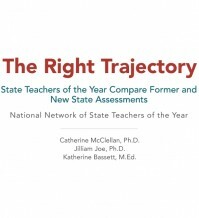 In our preceding two reports, The Right Trajectory and Still the Right Trajectory, we examined the grade 5 assessments previously used by individual states and compared them with the two consortia assessments. In this report, we convened a panel of twelve outstanding educators to examine the Smarter Balanced (SBAC) grade 11 assessment. The expert panel examined only the Smarter Balanced grade 11 assessment because there were no previous state assessments that could be used for comparisons. These educators found many things to like about the assessment, and they made recommendations for continuous improvement. What do we know about the characteristics of teacher leaders; the roles they undertake; and the challenges and barriers that exist to teacher leadership? 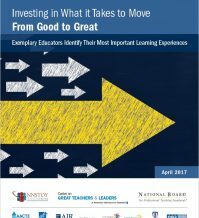 In this follow-up study to our Good to Great report, we conducted deep dive focus groups with State and National Teachers and of the Year and Finalists serving as teacher leaders to discover answers to these questions. 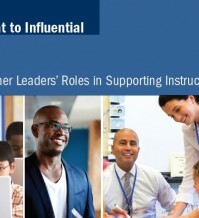 This report concludes with specific policy recommendations for supporting teacher leadership in state and local contexts. 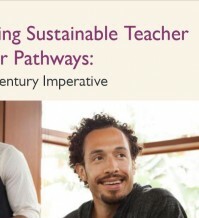 In this first-of-its-kind exploratory survey, over 300 National and State Teachers of the Year share insights into the professional experiences and supports that they believe most contributed to their growth and eventual excellence as a teacher. 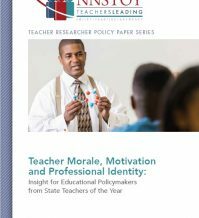 Reflecting back on their careers, from preparation through mastery and even into retirement, the Teachers of the Year surveyed in this study provide education leaders and policymakers with needed information about the professional experiences that help teachers move from good to great. Teacher preparation, evaluation, and the characteristics of effective teaching are at the center of contemporary education research and policymaking. NNSTOY believes that five key structures—found in almost every other field—have the potential to transform teaching into a profession that fosters continuous improvement, high expectations, and shared accountability.